How to size startup ownership structure for employees? What should startup ownership structure be in your startup? Do you know how the math works? It’s not very logical to pick a number out of the hat and say my ESOP is 15%. Why is it 15%? Ideally you ESOP is enough to get you from one round to the other. 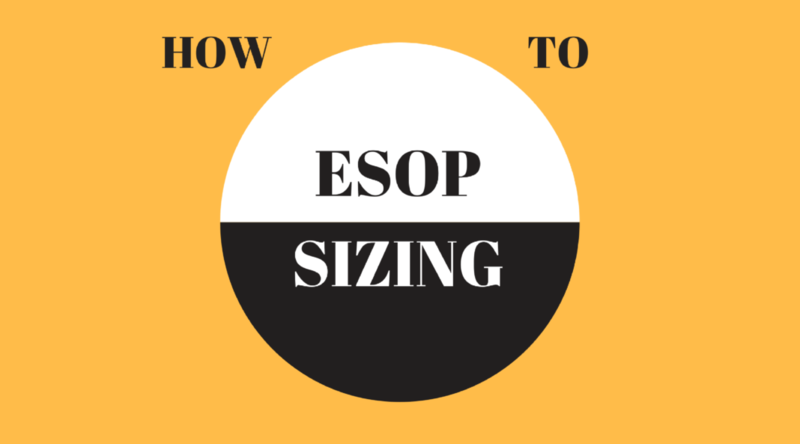 The logical way to size your ESOP is quite basic when you think about it. You raise x dollars, you assign y to hiring and z to things like marketing. The amount you assign to hiring dictates how many people you can hire and therefore the size of the pool you need. Let’s work through that math in two steps. Step 1: How many staff are you going to hire? How many people you need to hire is the starting point to understand the size of ESOP you need. Start with assuming a larger seed raise of $2m at $5m pre, which is $7m post. 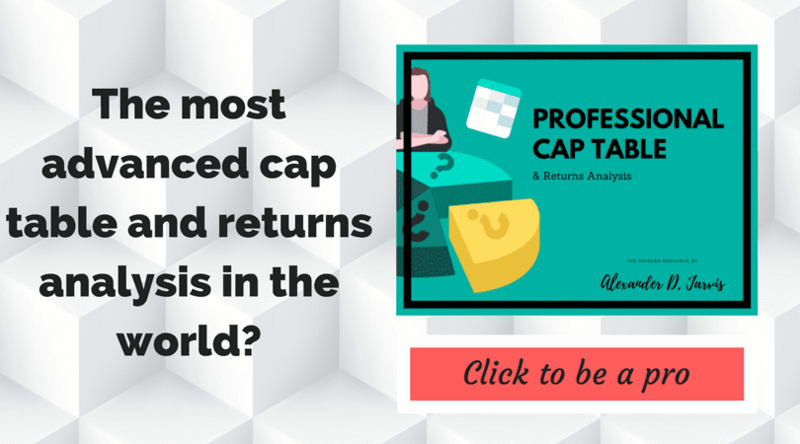 The investors as you know want the option pool to be in the pre-money valuation. You plan for this $2m to have a runway of 18 months so you can hit milestones. Now, how much of the $2m can you assign to HR costs? You will have other costs depending on your business model for marketing and G&A. Typically HR will be 30-40% of your raise. Let’s say 40% which is $800k. Now deduct your current staff. 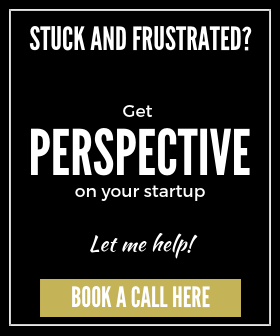 Say there are 3 cofounders on $5k per month each and one junior engineer who you got for a bargain at $4k per month. For 18 months, the founders cost $270, plus the engineer is $72k, you are on $342k. This means you have $458 to hire more staff. Without revenue coming in, you really can’t afford many employees with the 18 months runway. So at most you are going to hire another 3 to 4 employees. Assuming you hustle and attract more engineers and a marketer for $7k per month , that’s $126 for 18 months a head, or $84k per annum. You have runway for 3.6 staff. You decide to take a risk and go for 4 more staff which will cost you $504k. In this example, I assume that the founders have shares but that you didn’t give the junior engineers any yet since you didn’t set up the ESOP yet. You were waiting for the fundraise for some reason. Now take the cumulative salaries of the 4 new hires you need to make between the current financing and the next one, plus your existing one. The new staff average at $84k and the current one is $48k, the total annual salary is therefore $384k. Divide that number by your post-money valuation, which is $7m. That gives you employee ownership of 5.5%, which is the top end of the size of the option pool you’ll need. It is conservative because you typically don’t give options equal to the dollar value of the annual salary of the hires. The range is between 0.1x to 1x, depending on role, responsibility and your stage, with the average being in the .25x range. You are fairly early on and not paying massive salaries, so will need to and want to be more generous. The 5.5% is therefore not a bad target ESOP size. Another way of sizing this quick and dirty would be to take the % of the fundraise you are allocating to staff, say 40%, times by the raise, which is $2m, meaning $800k. Then deduct the staff that already have shares, say 50%, which gets you to $400k. Divide by your post-money of $7m, and that is an employee ownership of 5.7%. So if you decide to do less marketing and more hiring, you can easily size what sort of ESOP size you need. This math only works at a high level and doesn’t deal with reality, which is always more complicated and elicits a response of ‘it depends.’ The math is sort of fine at seed stage where we assume you are building out the product, doing some marketing and finding product-market fit. It doesn’t meet your needs when you are at series-a and expected to do some more radical hiring and scaling. Your VP and director level people are going to have their own ideas about how much stock they want to own, particularly if you can’t pay them market rate. The earlier on you try and can take on senior game changers, the more it is going to cost you. I mean, a COO type at early stage is going to want at least 5% in my experience, if not more. Did you find the startup ownership structure useful?